From our various range of products, we present optimum quality AC Street Light. These products are fabricated using pristine-grade material and contemporary technology. We offer these products in numerous sizes and other linked provisions, as per the demands of our admired patrons. Additionally, our offered variety is methodically inspected by our quality examiners on pre defined restrictions, in order to deliver a flawless range at our patron's end. Established in the year 2013 at Hyderabad, Telangana, we “Yuji Technologies” are Sole Proprietorship based firm, engaged as the manufacturer, wholesaler and retailer of LED Street Light, Solar Street Light, Solar Home Light System, Solar Mobile Charger and more. Moreover, strict superiority checks are been approved by us over the entire assortment, to assure that our products are faultless and are in fulfillment with the standard defined by the industry. 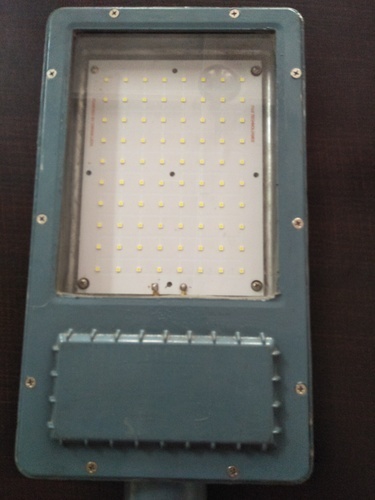 Our experts also render LED Light Repairing Service.